In Bach’s birthplace of Eisenach, the Bach House is a wonderful museum that presents artifacts from the composer’s life and times. 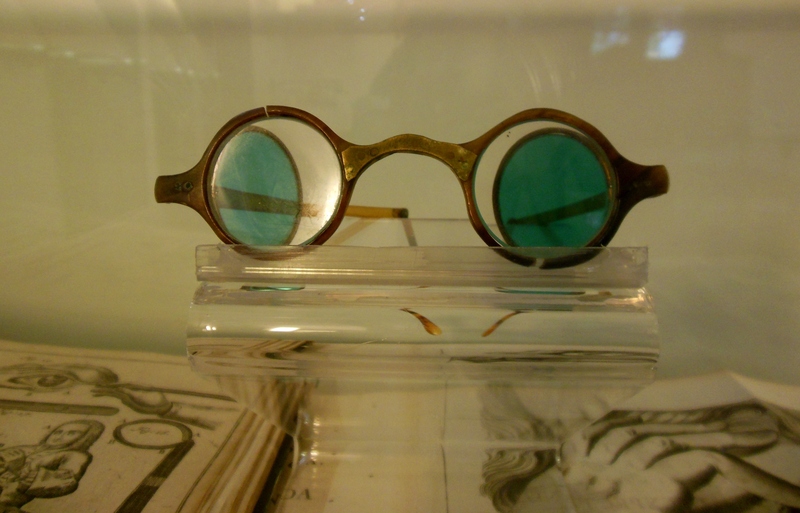 I saw Bach’s spectacles, which he wore when he was treated for cataracts, and learned more about his wife, Anna Magdalena, who loved yellow carnations and trained her linnet bird to sing. 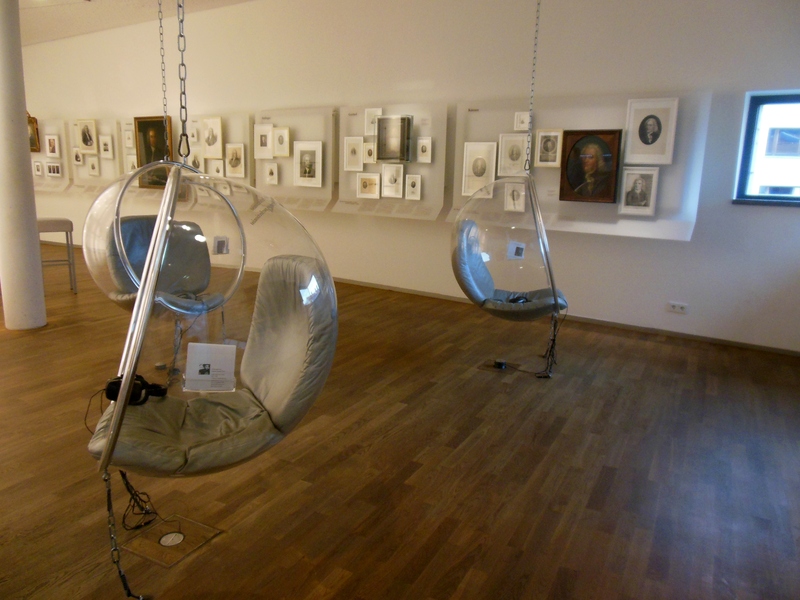 I lounged in bubble chairs suspended from the ceiling and listened to Bach’s music while reading informational sheets about his life. 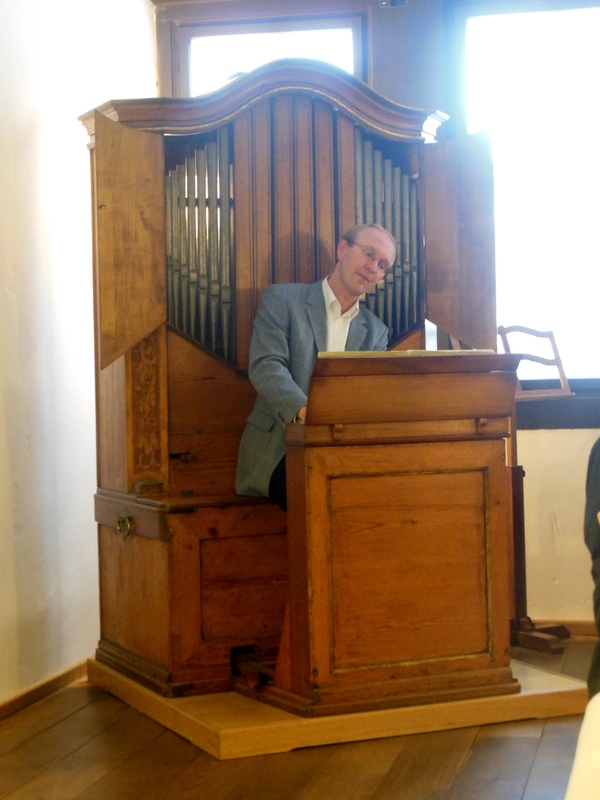 And I was treated to a short concert of musical selections performed on instruments from Bach’s day, including two house organs, a spinet, a clavichord and a harpsichord. In Weimar, I walked by the site of the home where Bach lived as he developed his virtuosity as an organist while he was employed as a court chamber musician. 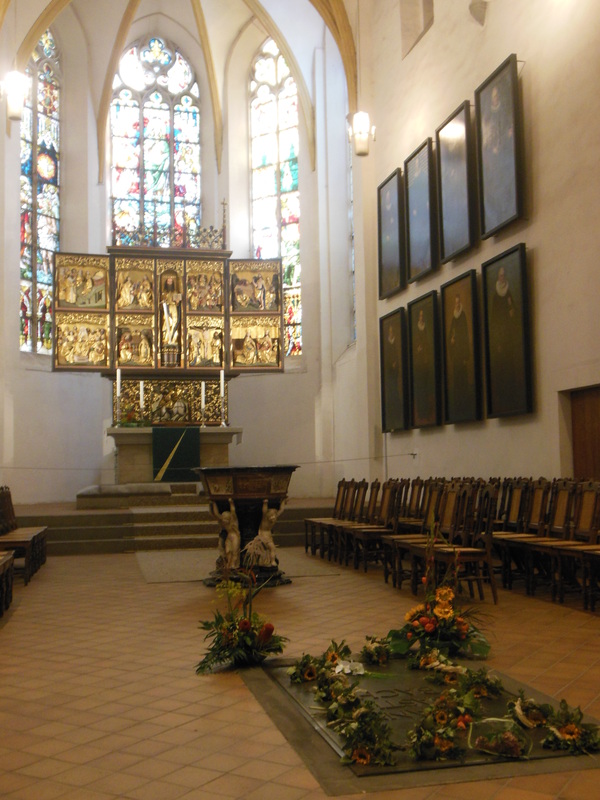 Then, I visited St. Thomas Church in Leipzig, where Bach worked as choirmaster of the famous St. Thomas Boys Choir for 27 years, and where he is buried. 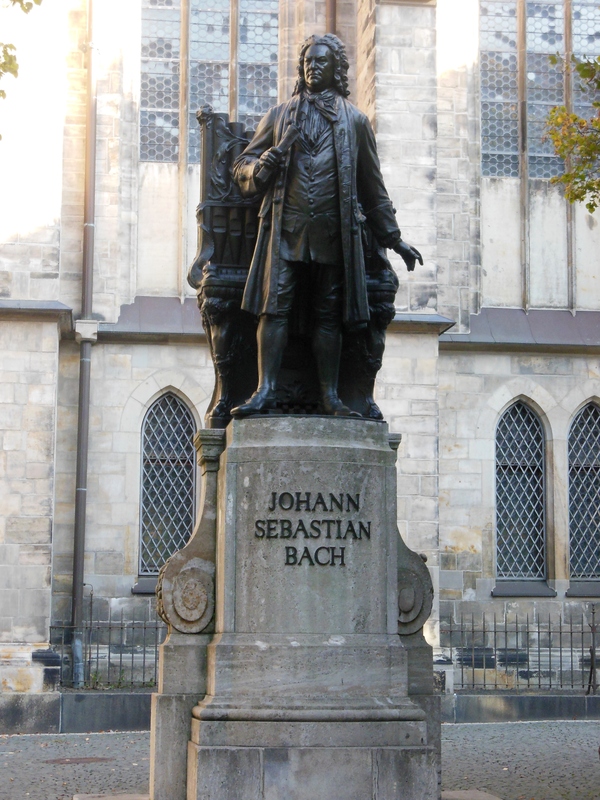 A statue of Bach in front of the church was made after the only portrait for which he sat. Across St. Thomas Square, the Bach Museum displays an organ console at which Bach played in 1743, original Bach manuscripts, a double bass that was part of his orchestra, and an iron chest that locked with 11 bolts and adorned with Bach’s distinctive cypher, proving it is the only surviving furniture from his household. 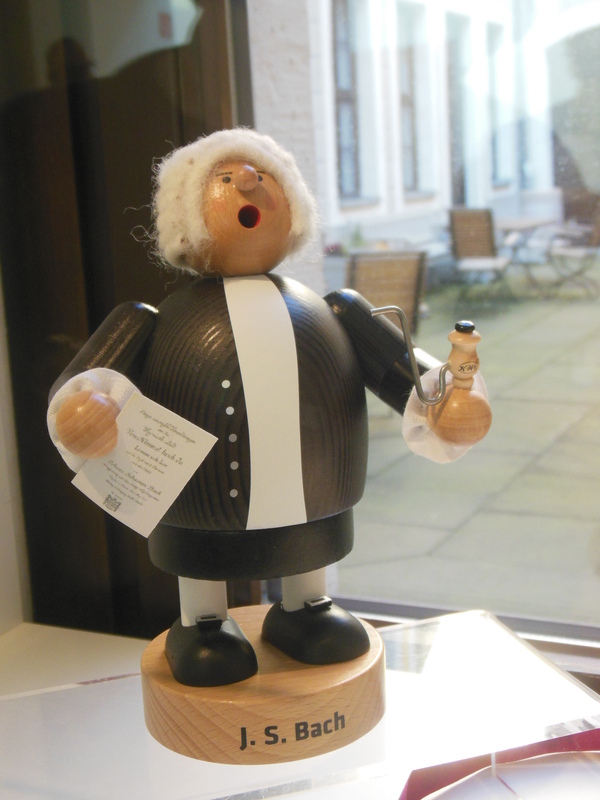 It also has a great selection of Bach-related gifts. Bach isn’t the only composer who inspires pilgrimages to music-loving Leipzig. Robert Schumann and his wife, Clara Wieck; Edvard Grieg; Richard Wagner and Gustav Mahler are among the composers and musicians who made Leipzig their home. Leipzig’s Notenspur music trail wends its way past the places where these world-famous composers and musicians lived and worked. I chose to spend an afternoon at the home of Felix Mendelssohn Bartholdy, where the composer and his family lived from 1845 to his death in 1847 at the age of 38. 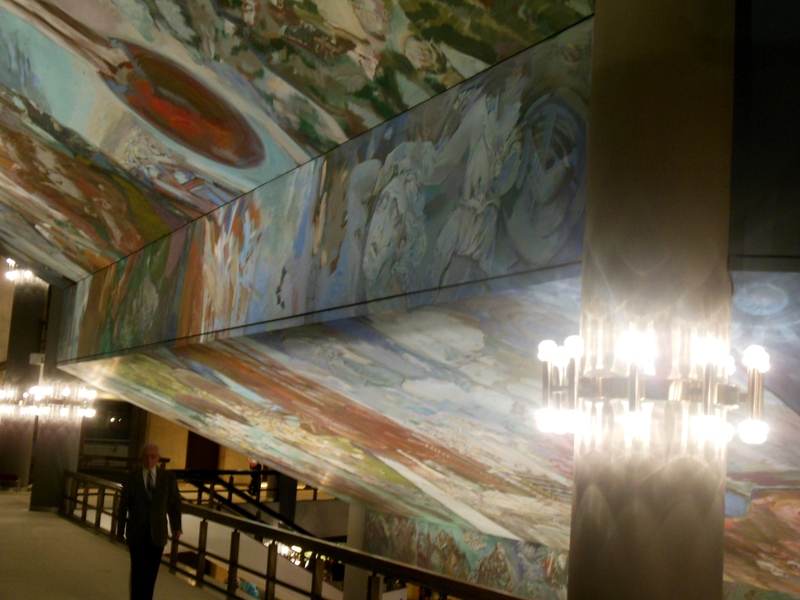 The living room features original furniture and paintings owned by Mendelssohn. In the study, Mendelssohn composed his Elijah Oratorio and chamber music such as the Second Piano Trio, Opus 66 at the writing desk in the room. Watercolors he painted during his journeys, including those he painted in Switzerland during his last summer, hang on the walls. 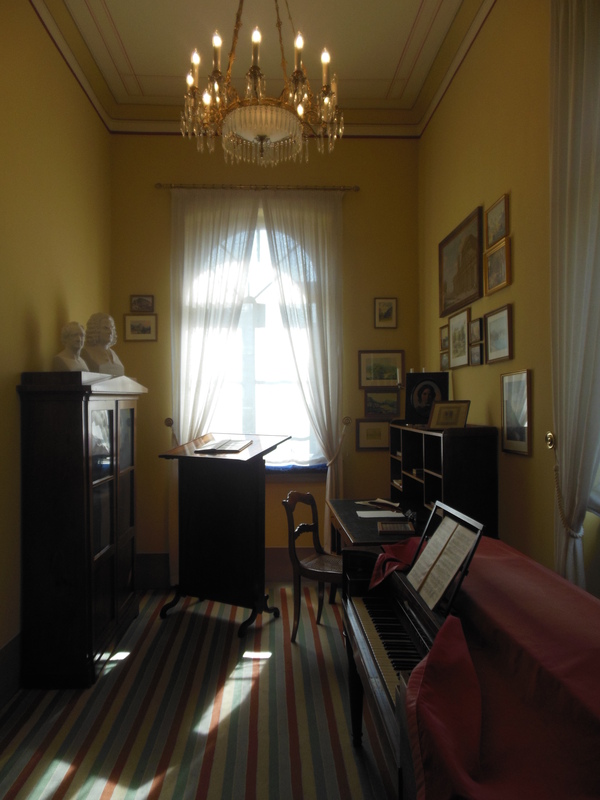 Several unique touches throughout the museum inspire visitors to learn more about Mendelssohn. Browse through books about the composer and listen to performances of his compositions in the reference library. Attend a Sunday concert in the music salon, just like those Mendelssohn hosted. 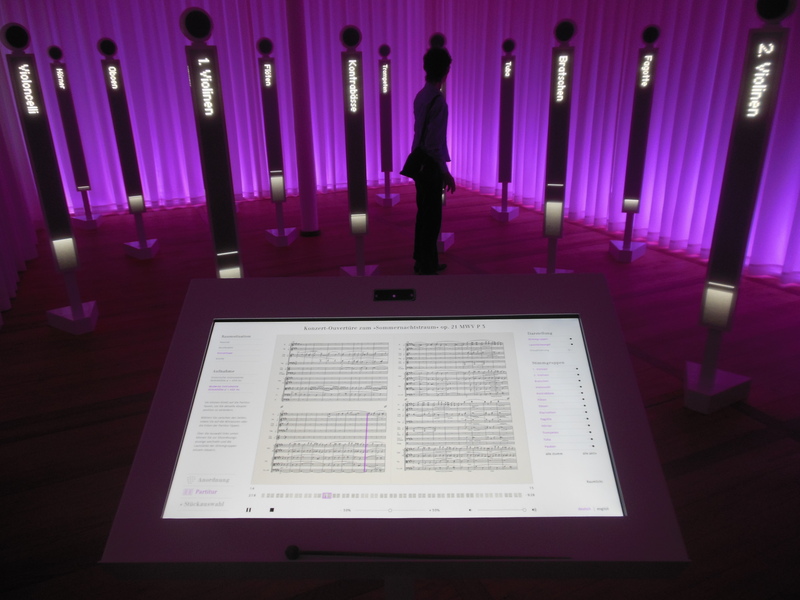 Test your conducting skills by leading a 3D “Effektorium” orchestra — with LED technology and loudspeakers representing modern or historic instruments — in a performance of Mendelssohn’s choir or orchestral compositions. Clever displays convey interesting information about the composer and his time. The former kitchen provides information about Mendelssohn’s journeys throughout Europe. Showcases in the Mendelssohn children’s rooms are fashioned to resemble the functional, naturally beautiful Biedermeier furniture that was popular during Mendelssohn’s day. 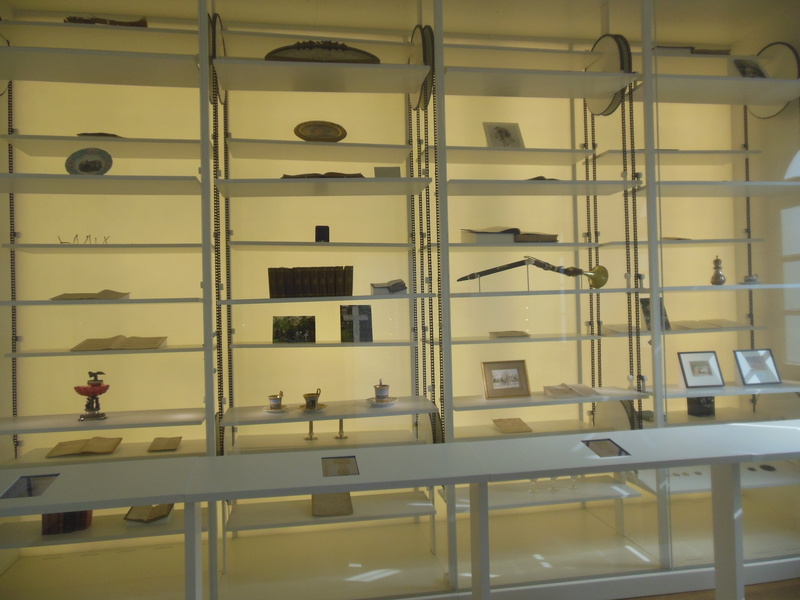 Another room includes a “paternoster” showcase that displays and provides commentary about a variety of objects and documents associated with his life. Visitors also learn about Mendelssohn’s work as conductor of Leipzig’s Gewandhaus Orchestra. The world-famous orchestra traces its roots to 1479, when town pipers began providing musical accompaniment for the city’s festive occasions, theatrical presentations and church services. By 1743, a concert orchestra was formed and well-off Leipzig citizens were charged annual dues to pay the musicians. These musical performances became so popular that a hall was needed to house the orchestra. An unoccupied attic loft in the Gewandhaus, or garment house of the clothmakers’ guild, became the orchestra’s first concert hall in 1781. In the years that followed, the concert hall in the Gewandhaus was the setting for a concert by Mozart, as well as the world premieres of Beethoven’s Fifth Piano Concerto, Schumann’s symphonies, Schubert’s Great C major Symphony, Wagner’s Meistersinger Prelude, and Brahms’ Violin Concerto. 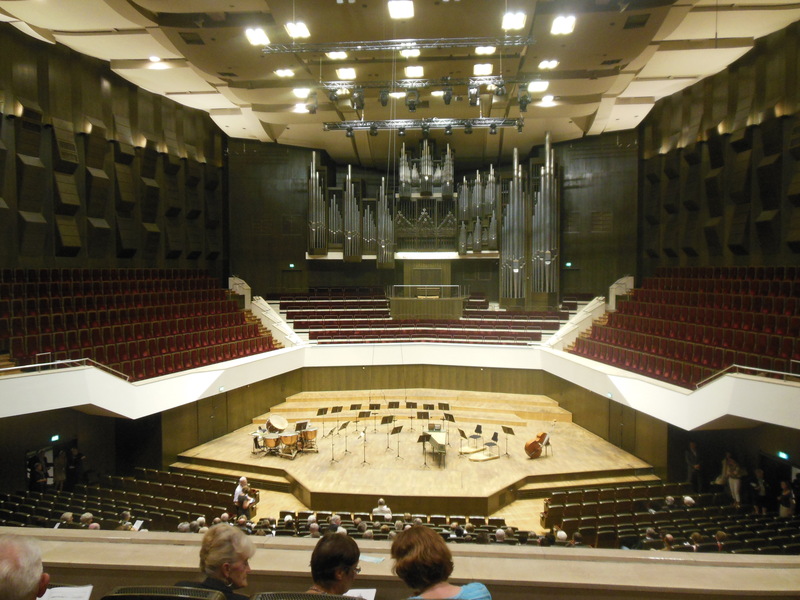 Despite being reconstructed several times to accommodate growing audiences, the concert hall in the Gewandhaus became too small. A new Gewandhaus was built and opened on the edge of town in 1884, helping to establish a new neighborhood and musical district. Brahms, Tchaikovsky, Grieg and Richard Strauss conducted their own works there. The building burned down during an air raid in February 1944. For the next 30 years, concerts were held in performance halls and movie theaters. In 1977, work began on a new concert hall facing the city’s new opera house. In 1981, the second New Gewandhaus was opened as the first and only new concert building built under the GDR regime. Kurt Masur, Gewandhauskapellmeister from 1970 until 1996, was instrumental to the project’s success. The Gewandhaus’s longtime motto — Res severa est verum gaudium (“true pleasure is a serious business,” from the Roman author, Seneca) — still hovers over the stage. So it was a special treat to spend an evening in the New Gewandhaus to attend “Mendelssohn the Discoverer,” a historical concert by the Bach Orchestra of the Gewandhaus Leipzig as part of Tribute to a Genius: Leipzig’s 10-day Mendelssohn Festival. Christian Funke, the Gewandhaus Orchestra’s concertmaster, led his fellow musicians through Johann Sebastian Bach’s Orchestra Suite in D Major (BWV 1068) in an arrangement by Mendelssohn. Funke’s son, violist Matthias, joined them for Wolfgang Amadeus Mozart’s Sinfonia Concertante for Violin, Viola and Orchestra in E-flat Major (KV 364/KV 320d). 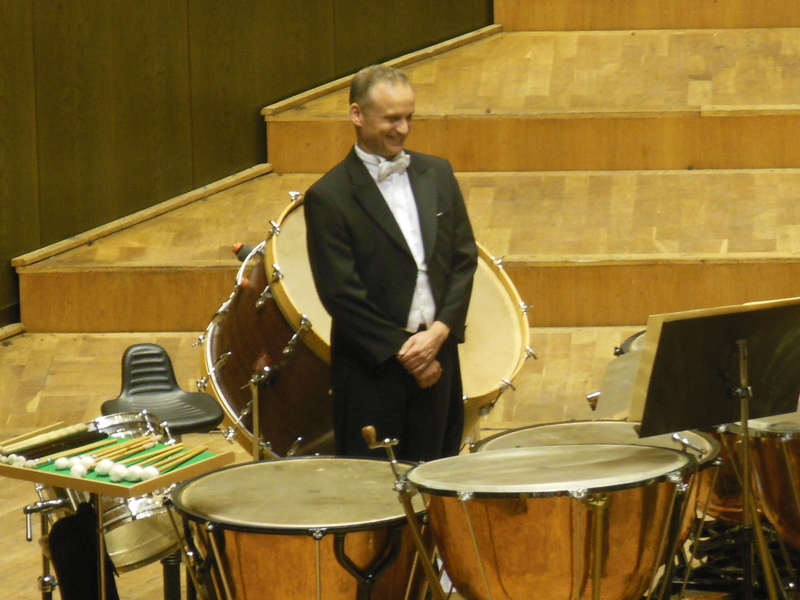 Best of all, Mathias Müller, the talented first drummer for the Gewandhaus Orchestra, was the featured soloist for Johann Christoph Graupner’s Sinfonia in F and Georg Friedrich Handel’s Music for the Royal Fireworks (HWV 351). For the duration of the concert, most of the musicians stood as they performed. For more on Bach, see Evening in the Palace of Reason: Bach Meets Frederick the Great in the Age of Enlightenment, by James R. Gaines; Bach: Music in the Castle of Heaven, by John Eliot Gardiner; Johann Sebastian Bach: His Life in Pictures and Documents, by Hans Conrad Fischer, and Johann Sebastian Bach, a circa-1998 video production that Fischer produced. Eisenach and Leipzig are included in Classical Destinations: An Armchair Guide to Classical Music, by Matt Wills, Paul Burrows and Wendy McDougall, as well as in the accompanying DVD hosted by Simon Callow and featuring violinist Niki Vasilakis. To read more about the Biedermeier period, check out Biedermeier 1815-1835: Architecture, Painting, Sculpture, Decorative Arts, Fashion, by Georg Himmelheber; and Biedermeier: The Invention of Simplicity, by Hans Ottomeyer, Klaus Albrecht Schröder, and Laurie Winters. This entry was posted in Germany, History, Music, Travel. Bookmark the permalink.